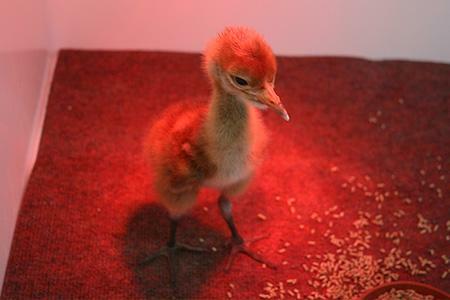 May 2011: Olly was a single egg taken from a nest site in Brandenburg where the cranes have all traditionally been named Olly. 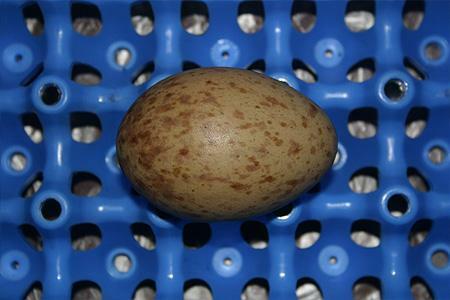 He came out of an exceptionally short and fairly rotund egg – but is a beautiful chick! He is a rather noisy member of the D block though, and is quite a 'baby' in attitude. 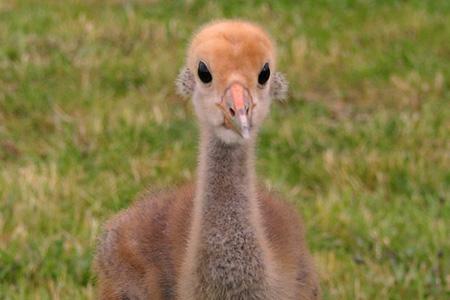 July 2011: Sadly, in late July, Olly was sadly given a rather over-zealous peck by another of the cranes that cracked his skull above his beak, and he was found dead in the exercise area. He was turning out to be a very fine crane and all the team are gutted that he never made it to release - a real shame indeed. RIP Olly.